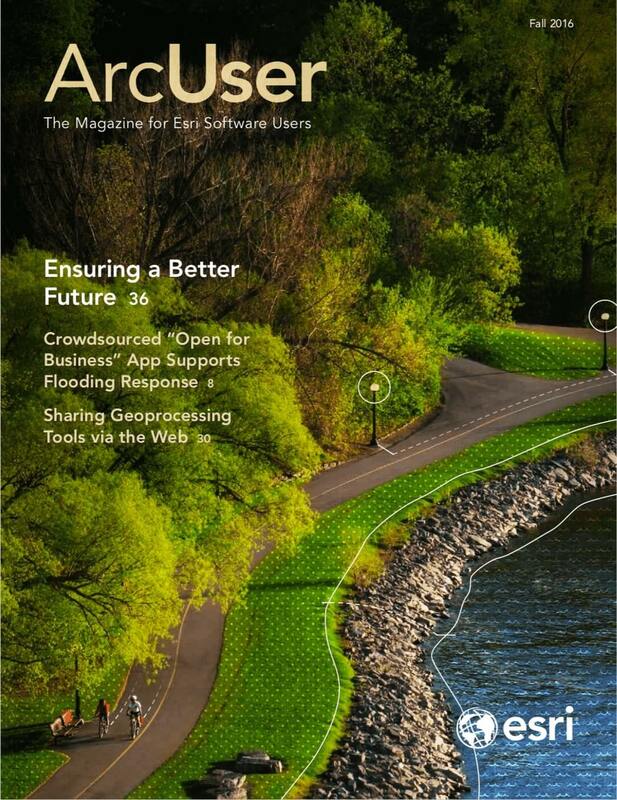 ArcGIS Code Sharing has a simple user interface for discovering and sharing contributions. For all of you who miss ArcScripts, you now have the ArcGIS Code Sharing site. This new site, announced at the 2016 Esri User Conference, fills the role of the popular code sharing site that was retired in 2010 and will include even more types of items. With ArcGIS Code Sharing, you have a central location for discovering ArcGIS scripts, add-ins, and other code samples contributed by other GIS professionals and geodevelopers that will help you be more productive and learn how to do more with ArcGIS. It also is a place for sharing your own work with the GIS community. ArcGIS Code Sharing has a simple user interface for discovering and sharing contributions. The site currently supports ArcGIS scripts, add-ins, and code samples and soon will support models, extensions, widgets, themes, styles, and other items. Once at the ArcGIS Code Sharing site, simply log in using your Esri Global Account credentials and search or browse for items. You can filter items by language (C#, Python), software product (ArcGIS Pro, ArcGIS Web APIs), or result type (code sample, add-in, geoprocessing sample). Once you locate the item you want, you can download it or go to its associated web page. To share your own work with others using the ArcGIS Code Sharing site, click the UPLOAD SCRIPTS button, fill out a few fields, add some tags, and upload the file. Because the ArcGIS Code Sharing site is part of ArcGIS Online, when you share things through it, those items will also appear and can be managed using the My Content tab of your ArcGIS Online account. 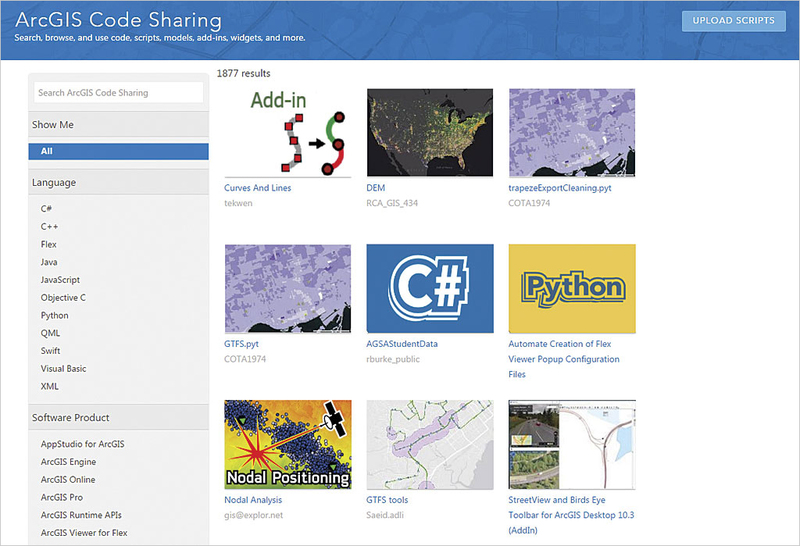 When you share code and other items with everyone through your My Content tab, these items will automatically appear in and be searchable on the ArcGIS Code Sharing site. Don’t forget, you can also locate and share code samples on GitHub as well as ArcGIS Code Sharing and ArcGIS Online.